An average 10 percent of the American population has hearing loss that consequently affects an essential ability – to comprehend what other people speak. It turned out, excessive noise exposure is the majority of these cases. Now, what activities do people do that expose them to intense noise levels? Shooting firearms, in particular, could cause enduring hearing loss if you are not cautious enough. 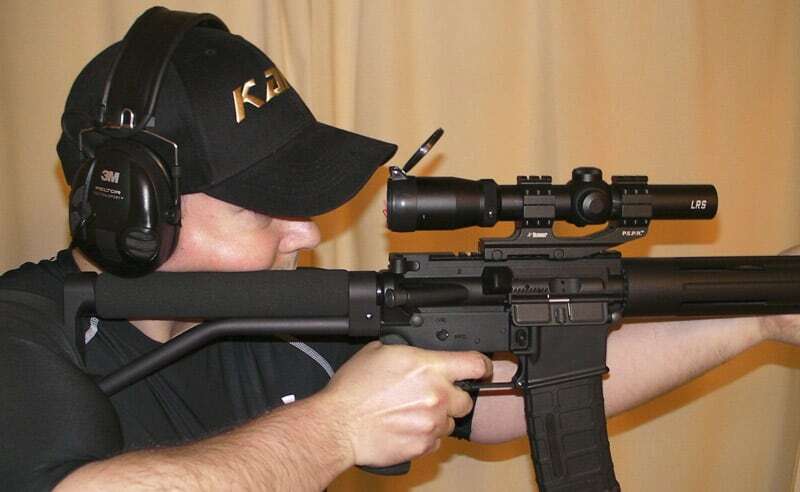 The ideal precaution is to have the best ear protection for shooting. Shooting a shotgun, for example, makes you subject to powerful noise that could negatively affect your hearing ability. With this in mind, it is crucial for you to protect yourself against the forceful noise with something that could repel sound. Ear protection is your best bet. 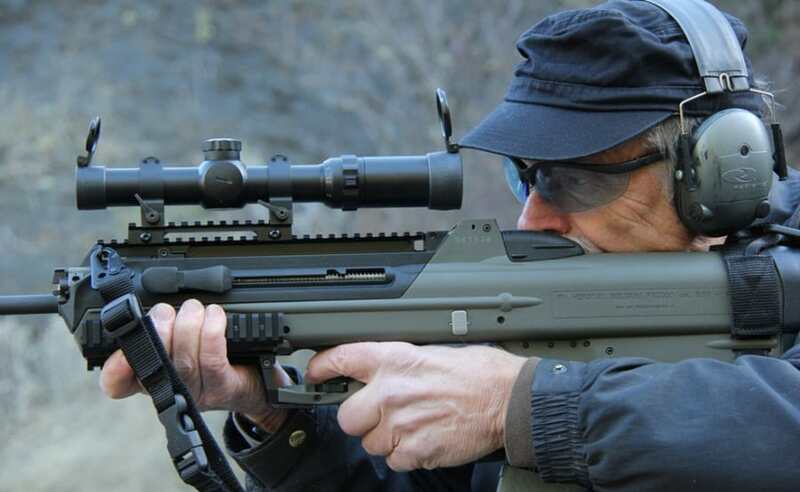 Honeywell Impact Sport by Howard Leight is for sports shooters, military personnel, police, and other shooters. Being in the hunt or at the shooting range, the guns that we fire can create excessive noise that can be very dangerous to our delicate ears. With this earmuff, you reduce the levels of hazardous noise to a bare minimum and enjoy the sport being comfortable. ​When there’s a need to communicate with peers, Impact Sport can provide natural listening and enhanced communication as it has a built-in directional microphone that amplifies range commands and ambient sounds up to 82 dB. Its distortion-free amplification primarily gives you productive and clear conversation even while in a noisy environment. The special features for this earmuff include the four times amplifier for the low-level sounds! Impact Sport Earmuff has this patented Air Flow Technology for optimal attenuation for all frequencies without the need to increase the size and weight of the ear cup. Since this is an electronic earmuff, it is powered by two AAA batteries. What is nice is that it automatically turns off after four hours to conserve the battery life of the earmuff. The AUX jack allows you to listen to your MP3 players or answer calls from your smartphone. As for the aesthetic of this earmuff, it has a soft headband that you can control depending on your head size, and it’s also in a folding style to make it compact inside a bag. The ear cups are low profile for firearm stock clearance. 3M is a brand made in the USA that you can trust with your safety in industry or in shooting as they are in business for more than fifty years. That length of time assures you that they only make quality products for the wearer’s daily protection in the field while retaining comfort. This Tactical Sport Hearing Protector is a favorite among the shooters as it protects the ears from very loud noises that can cause hearing damage, and offers excellent noise reduction. This well-built earmuff is designed to block loud noises while amplifying the ambient sounds in the surroundings. The sound amplification allows you to hear low-level sounds, and have a nice chat with your peers or the usual range commands. The durable microphone adds to the trick and also used to reduce the sound of the gush of wind. In fact, this has a Noise Reduction Rating (NRR) of 20 dB. 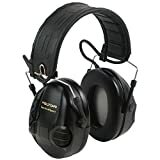 Peltor Tactical Sport Earmuff is an electronic device that uses ASIC chip technology that makes 100% ear protection and the earlier said features possible. It is powered by two AAA batteries that can last up to 500 to 600 hours. The earmuff can also shut down automatically after two hours to preserve the battery when in difficult situations. By the way, the digital chip can respond super fast to a sudden impact noises and readily adjusts the noise blocking, this is all thanks to its advance specs. You can do conversations or hear music because of the audio jack that you can plug in your left ear cup. The control buttons for power and volume are readily accessible. However, it can be difficult for some users as there’s no LED light to indicate if the unit is on or off. 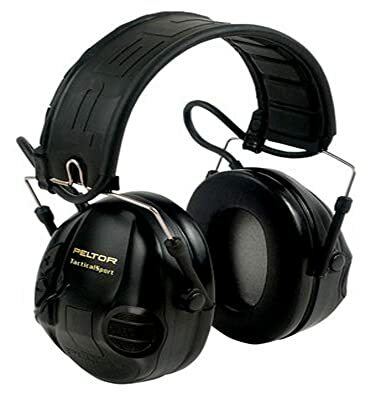 Peltor Tactical Sport Earmuff is ergonomically designed to suit any wearer’s preferences. This is basically true for the ultra-comfort headband that has ample padding, and it snugs perfectly on top of your head. The ear cups are delicately contoured to be comfortable on your ears, but wearing the earmuff for extended periods of time caused minor discomfort for some. The texture of the headband and the ear cups makes it easy to hold the earmuff because it won’t slip. The wire frame is durable and lightweight, so don’t worry about folding the earmuff inside your bag. The earmuff is affordable above $100 and you can interchange the black ear cups with orange ones as they’re included in the package. Another product under 3M Peltor, this earmuff can provide you extensive comfort and protection while shooting. This is recommended for military, police, hobbyists, and sports shooters. This earmuff headset’s priorities are hearing conservation, hearing protection, and protective communications. This earmuff special feature that is not common in other earmuffs is that there’s no abrupt cut-off of the sound when there’s a change of loud ambient noise to sudden impact noise because of its system. Thanks to the active-volume function that works smooth, there is less interference, and it comes down to natural listening. It’s tactical hearing protection has a Noise Reduction Rating (NRR) of 20 dB. The earmuff is a communication headset so you can connect to a hunting radio to connect with your shooting mates via the built-in microphone to issue commands or just plain conversation. The audio jack also allows MP3 players and smartphones. The earmuff has an auto amplifier so you can hear better than without it. Since it’s an electronic device, you need two AAA batteries to power the earmuff. But it automatically shuts down after two hours, so the battery life is duly preserved. The batteries can last up to 500 hours of usage. As for the aesthetics of the earmuff, the headband is made of stainless steel padded with ample cushioning so as to comfortable wearing. The ear cups are an adjustable, contoured, and low profile. The ear cups have interchangeable shells in orange for a new look if you get tired of all black style. It’s a foldable headset so you can place it inside your bag while occupying a small space. The earmuff is priced a little over $100, so it’s a good catch. 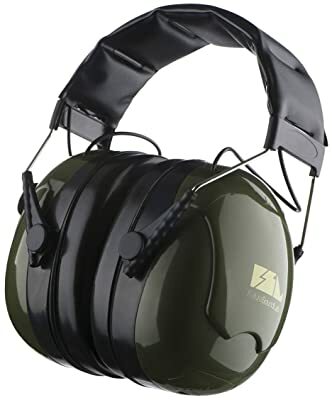 It’s a must-have whether you’re in the army, police, a hunter, or just likes to shoot guns in the shooting range to be always prepared to protect your ears. There’s a specific threshold that the ear can sustain deafening noise that comes from loud gun firing. An earmuff is paramount for the shooter to protect his ears. This earmuff by FSL is designed that you can hear the usual voice of someone beside you but effectively blocks loud gunshots. At most, it amplifies the voice but reduces the background noise that you hear. This results to natural listening but is clearer. 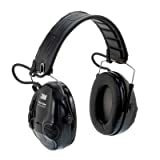 In fact, the SNR or the single number rating of this earmuff is at 28 dB. SNR is the European version of the international standard NRR. This means that the higher the ratio, the higher the noise attenuation. This earmuff is electronic, so two AA batteries power it. Having AA batteries is uncommon because AAA batteries power most earmuff headsets. In fact, the earmuff can last 30 hours straight, without stopping! It has a comfortable fit for your head because the headband is cushioned. You won’t feel any discomfort even if you wear it until the battery runs out as it is made out of high-quality and durable materials. The ear cups are cushioned with a soft sponge but not very bulky to the point of getting in the way of your shooting. The earmuff is space-efficient making it portable and fit your small backpack wherever you go. This is an affordable and an excellent choice for every shooter. How Loud Can A Gun Be? ​Sound intensity is measured in Decibels (dB). Logically, the higher the number, the louder an object is. Zero decibels (0 dB) is defined as the faintest sound that an average human ear could detect. The decibel scale goes from 0 to 180 dB, with 180 dB being the noise generated right at the rocket pad during a rocket launch. Recent studies conclude the existence of an alarming increase in the young generation’s hearing loss cases. ​Experts say constant, or continuous exposure to 85 decibels already means harm. However, it is surprising that an ordinary person is subject to a lot of everyday objects that could emit more than 85 decibels. See below. Yes, you’ve read it right. A gun muzzle blast is actually at par with the decibels a jet engine could produce! Even a brief exposure from a jet engine sound could cause pain (sometimes, injuries) if your ears aren’t protected. ​How Can You Tell When Your Hearing Is Damaged? However, you can notice early symptoms – a sound in your ear or a ringing inside. This is called tinnitus; which could be the consequence of exposing yourself to long noise, leading to damage to your hearing nerves. ​These symptoms could be the start of a high-frequency hearing loss. You can confirm it through a hearing test if you consult a physician. However, having these symptoms doesn’t immediately mean that you’re going to lose your sense of hearing eventually. There’s a possibility these symptoms only mean a simple ear infection or an impacted wax. ​Either way, you still have to consult an otologist/otolaryngologist to diagnose you; this is the type of physician that specializes in hearing disorders and ear care. 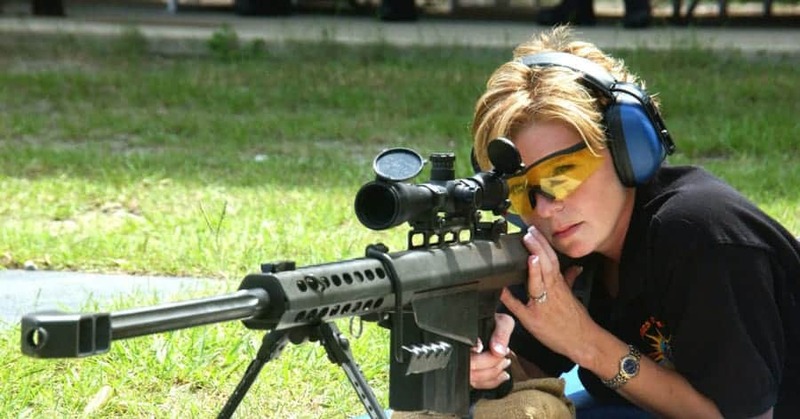 It is inevitable for a shooter like you to be subject to the noise and recoil that shooting rifles or shotguns produce. Every time you shoot, your ears are subject to high decibel levels that could damage your hearing unless you utilize ear protection gears. ​You can experience tinnitus – slightly annoying, high-pitched buzz or whistle inside your ear. If you don’t use ear protection gears, long-term noise exposure could cause discomfort, pain, or dizziness. You can even experience disorientation if either of your ears is damaged; this is because our ears are one of the factors that affect our balance. ​Since your ear can’t protect itself against large noise, it’s your responsibility to use gears that serve the purpose. Hearing protectors are the ideal solution to ear protection. Wearing ear protection defends your ears against the impact of loud noises that could have penetrated inside if you’ve done otherwise. ​When shooting, ear protective is a must. In typical activities such as using noisy yard equipment, power tools, or when riding a motorcycle, using simple ear protectors such as regular earplugs will suffice. ​Earplugs are small inserts you could place in the outer part of your ear canal. When sealed snugly, they could protect you against noise by sealing the entire circumference of your ear canal. On the other hand, using worn-out, dirty ear plugs that are not fitted correctly will result in an irritation in your ear canal. ​There are multiple varieties of earplugs in the market; some are even customizable. Another option is earmuffs; it just don’t seal your ear canal, but it fits your entire ear for that matter. Earmuffs form an air seal that effectively blocks a percentage of noise from entering the ear directly. ​Aside from conventional earplugs and earmuffs, technology has found a way to create advanced earmuffs that do a lot more than just block sounds. There are now electronic earmuffs that even allow you to communicate with other people. 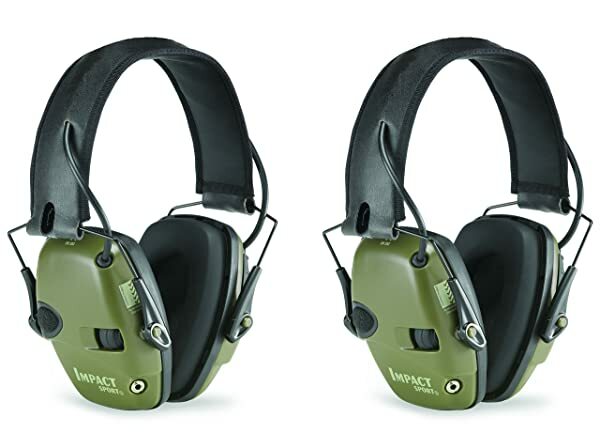 ​These earmuffs are recommended for individuals who love outdoor shooting activities. You don’t only have an ear protection; you also get to enjoy more features such as directional microphones and impressive noise reduction abilities. ​Some electronic earmuffs also have auxiliary inputs for more utility and remarkable battery lives that allow you to use them for extended hours. 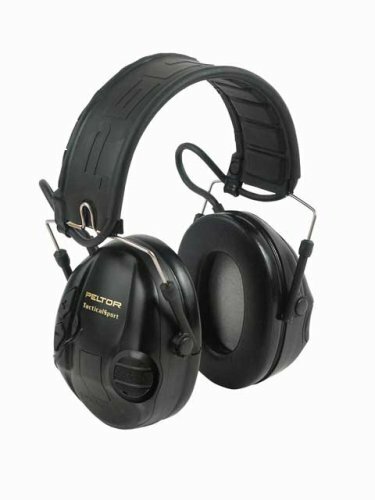 ​With the modern, more compact ear protectors, you’ll enjoy your shooting activities without risking your ears to damage. Now, it boils down to selecting the best ear protection for shooting.